Chris Johnson is associate provost for academic affairs. In this capacity, he partners with Vice Chancellor and Provost Michele Wheatly and other academic affairs leaders to support key academic initiatives and advance Syracuse University’s vision and mission as outlined in the Academic Strategic Plan. A professor in the Department of Civil and Environmental Engineering, he also served as interim director of the Renee Crown University Honors Program from July 2016 to June 2018. Johnson has served as a visiting faculty member at Charles University in Prague and Griffith University in Brisbane, Australia. He is involved in a number of research projects in the broad area of environmental chemistry, including work on the fate of trace metals in forest soils and landscapes, the effects of clear-cut logging on soils and drainage waters, and the changing acid-base chemistry of soils historically affected by acid rain. Johnson earned a B.S. in civil engineering, a M.S. in statistics, and a Ph.D. in geology, all from the University of Pennsylvania. 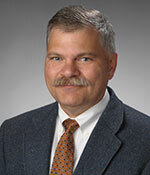 He is a member of Phi Beta Kappa and Tau Beta Pi, and he was a Fulbright Scholar in the Czech Republic in 1994. He can be reached at cejohns@syr.edu or 315.443.1899. 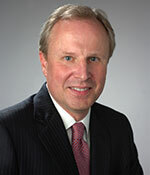 Steven Bennett is senior vice president for academic operations. Bennett plays a critical role in overseeing academic operations for administrative units that report to the Office of the Provost, including Information Technology, SU Press, Syracuse University Abroad, and satellite facilities around the U.S. He also works closely with the provost and her leadership team on planning and budgetary matters. Bennett comes to Syracuse University from The Brookings Institution, where he served as vice president and chief operating officer. In this position, he supervised the interactions among the institution’s research programs, and between the research and non-research sides of Brookings, promoting collaboration and interdisciplinary work. He also helped develop and operationalize the institution’s strategic plan and institution-wide program objectives. 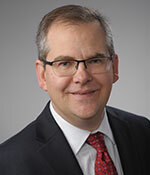 Prior to his career at Brookings, Bennett served as executive director for several nongovernmental organizations focusing on the intersection of trade and development. He was co-founder and executive director of the Global Fairness Initiative (GFI), an international leadership initiative to advance innovative models of economic engagement in impoverished countries. He also has served as executive director of Witness for Peace, an international human rights/economic justice advocacy organization, and as interim executive director and program director for National Neighbors, promoting growth and opportunity for urban neighborhoods. Bennett, who grew up in Syracuse, earned a BA from Colgate University and a master’s in public policy from Georgetown University. He returned to Syracuse for post-graduate study at the Institute for Creative Conflict Resolution in 1995. He can be reached at bennetts@syr.edu or 315.443.5725. 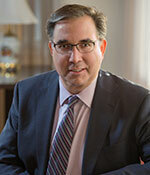 Samuel Scozzafava is the chief information officer and vice president for Information Technology Services (ITS). Sam provides day-to-day leadership and administration of the ITS department, and develops and implements strategies to ensure that ITS is providing central technology support across both the academic and administrative operations of the University. As CIO, Sam provides leadership and acts as a catalyst for unifying the various information technology visions across campus into one, and is the main consensus builder in coordinating technology acquisition and deployment at Syracuse University. He can be reached at sjscozza@syr.edu or 315.443.3814. Jeffrey Hoone is the executive director of the Coalition of Museum and Art Centers (CMAC). The mission of CMAC is to celebrate and explore the visual and electronic arts through exhibitions, publications, public presentations, education, and scholarship. Syracuse University provides the infrastructure, educational platform, resources, and influence to make the Coalition possible while expanding the role and responsibility of the University in the Central New York community and beyond. Hoone can be reached at jjhoone@syr.edu or 315.443.1300. 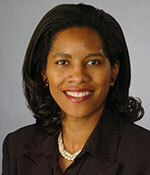 LaVonda N. Reed is associate provost for faculty affairs and professor of law. She is a senior leader in Academic Affairs charged with a wide range of matters relating to faculty across Syracuse University’s schools and colleges and plays a key role in faculty searches and appointments, new faculty orientation, promotion and tenure, research and administrative leaves, retirements, as well as faculty recognitions, awards, and honors. Reed identifies opportunities designed to facilitate and support faculty success in academic life including professional development of SU’s faculty as well as support for and advancement of faculty research and teaching. She is a tenured professor of Law in the College of Law, having joined the SU faculty in 2006. 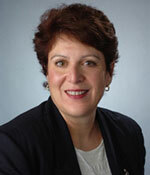 Her areas of scholarly expertise include communications regulatory law and policy, property law, and wills and trusts. Prior to entering academia, she was an attorney in private practice with the international law firm of Paul, Hastings, Janofsky and Walker, LLP and a judicial law clerk to the Honorable Donald W. VanArtsdalen of the U.S. District Court for the Eastern District of Pennsylvania. She received a B.A. in Economics from the University of Virginia and a J.D. from the University of Southern California. She can be reached at lareed@syr.edu or 315.443.5525. Peter Vanable was appointed associate provost for graduate studies and dean of the Graduate School on January 6, 2017. He served as interim vice president of research from January 1, 2016 to August 31, 2017. Vanable is a professor of psychology and adjunct professor of medicine at SUNY Upstate Medical University. Vanable served as chair of psychology for six years, an appointment that began in August of 2009. Vanable has published more than 100 peer-reviewed papers and book chapters on topics related to HIV risk reduction, coping with chronic illness, and substance abuse. He has been principal investigator or co-investigator on more than $8 million in research grants from the NIH, including funding for Project iMPPACS, a four-city health promotion intervention for at-risk adolescents. Vanable is a regular reviewer for the NIH and is currently an Associate Editor at the journal AIDS and Behavior. Vanable is the past recipient of an excellence in Graduate Education Faculty Recognition Award (2013) and was elected to Fellow status by the Society of Behavioral Medicine in 2012. Vanable served on Syracuse University’s Institutional Review Board for seven years and was appointed to serve as chair in 2014. Vanable is a past member of Syracuse University’s Senate Budget Committee and was recently appointed to serve on the Chancellor’s Steering Committee for oversight of the University’s Fast Forward Syracuse initiative, designed to improve operational efficiencies and leverage funds to enhance investment in high impact research. He can be reached at pvanable@syr.edu or 315.443.2543. Erika Wilkens is assistant provost and executive director of Syracuse University’s Syracuse Abroad program, overseeing all aspects of the day-to-day operations of Syracuse Abroad, including academic programming, personnel, compliance, budget and real estate. Wilkens plays a key role in developing a long-term strategic plan and advancing the University’s vision and commitment to internationalization. Working with faculty, administrators, and other stakeholders and partners on campus and abroad, Wilkens will work to further expand opportunities for students to pursue global study, research, and internships. 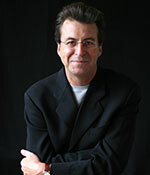 In 2010, Wilkens was appointed the founding director of the University’s new study abroad center in Istanbul. Upon her return from Turkey, she became special assistant to the associate provost for international education and engagement and then, special assistant for global engagement. Prior to joining Syracuse University, Wilkens served as an assistant professor at Okan University in Istanbul and as an instructor at Sabanci University, Istanbul, and New School University’s Graduate Program in International Affairs in New York City. 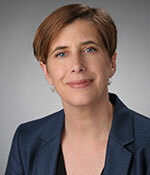 Wilkens earned a Ph.D. in political science from Syracuse University; a master’s degree in international development from University of Calgary, Canada; a master’s degree in international relations from Lancaster University, United Kingdom; and a bachelor of commerce degree from University of Calgary. She can be reached at ewilkens@syr.edu or 315.443.9423. John Liu​ has served as vice president for research since September 2017. He came to Syracuse University from Auburn University, where he served as associate provost and associate vice president for research. He previously served as associate dean for research in the College of Agriculture, assistant director of the Alabama Agricultural Experiment Station, and as Distinguished Alumni Professor in the School of Fisheries, Aquaculture and Aquatic Sciences. As an administrator he has demonstrated success in the areas of growing the University’s research enterprise, enhancing scholarship, promoting interdisciplinary collaborations, supporting research infrastructure, supporting graduate programs, enhancing faculty competitiveness, and developing international collaborations. Liu has provided leadership for various national and international functions, including serving as the coordinator for aquaculture under the USDA National Animal Genome Program NRSP-8. 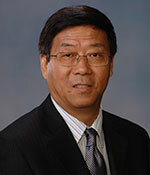 He has served on the Advisory Board of Oceans and Human Health of the U.S. Department of Commerce and the Advisory Board for the National Laboratory of Qingdao Marine Science and Technology of China; and as a trustee member for Guangdong Ocean University. He also has served on numerous national grant panels for federal agencies and for international funding agencies, and he was panel manager for programs of the National Institute of Food and Agriculture. An international authority in the area of aquaculture genomics and bioinformatics, Liu has trained more than 100 Ph.D. students and postdocs, obtained more than 80 grants totaling more than $47 million, and authored four books and more than 300 papers. He was elected a Fellow of the American Association for the Advancement of Science in 2007 and a Fellow of the World Aquaculture Society in 2017, and he currently serves on the Steering Committee of USDA in developing the Blueprint for Animal Genomics and Genetics 2018-27. He can be reached at johnliu@syr.edu. Roberta “Bobbi” Jones is the assistant provost for strategic planning and budget. Her primary responsibility is to serve as chief budget officer for Academic Affairs and to serve as advisor to the Vice Chancellor and Provost on strategic planning and initiatives. She can be reached at rsjones@uc.syr.edu or 315.443.2055. 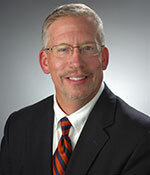 David Seaman is dean of Libraries and university librarian at Syracuse University. He leads a talented library staff to deliver the services and collections necessary to drive 21st-century research, teaching, and learning, and to provide innovative spaces for study, collaboration, and innovation. David comes to Syracuse after library leadership positions at Dartmouth College, The Digital Library Federation, and the University of Virginia. He has lectured and published extensively in the fields of humanities computing and digital libraries, and for many years has taught at the University of Virginia’s Rare Book School. He can be reached at dseaman@syr.edu or 315.443.5533.